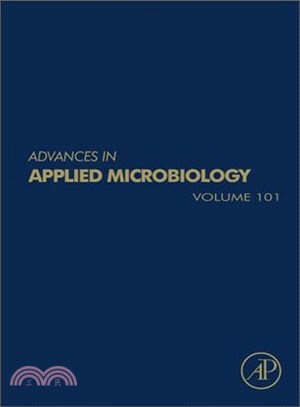 Advances in Applied Microbiology, Volume 101 continues the comprehensive reach of this widely read and authoritative review source in microbiology. Users will find invaluable references and information on a variety of areas, with this updated volume including chapters on Chemical and fuel production using autotrophic acetogens, Sodium chloride does not assure microbiological safety of foods: cases and solutions, Towards stably encoded production pathways for fine chemicals, Microbial Transformation of Iodine: From Radioisotopes to Iodine Deficiency, Uranium Bioreduction and Biomineralization, and Contribution of bacteriophages to the virulence of Clostridium. This ongoing series provides readers with a variety of topics, with each volume covering topics such as protozoan grazing of freshwater biofilms, metals in yeast fermentation processes, the interpretation of host-pathogen dialogue through microarrays, and the role of polyamines in bacterial growth and biofilm formation. Eclectic volumes are supplemented by thematic volumes in areas such as Archaea and sick building syndrome.